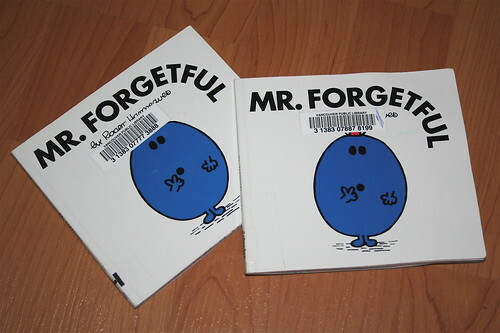 Mr. Forgetful, a photo by Lily White on Flickr. I am constantly trying to remember if I actually did things. For example did I lock the car door before coming into the house? Did I set the alarm when I left the house? Did I shut the kitchen window before going to sleep? During an average day we do so many things in 'Auto Pilot' mode that we can not remember if we actually did them. A number of times I have had to turn the car around and go back home to make sure that I have indeed locked the door. Most of the time the door has been locked but the thing is that I cannot remember doing it. It is frustrating and it can be a big waste of time. I thought about why I cannot remember all the important little things and realised that it is because these little things are repeated so often that the brain gets bored of remembering them. My solution to the problem is to make forgettable tasks more memorable. 1. Sing a little jingle after doing the task or action. For example sing 'I have locked the door' in the tune of a song you like. 2. Do a little dance after doing the task or action. 3. Just say the task out load after doing it. All three of these options are used to make the task more memorable so that your brain thinks it is worthy of being remembered.